Adorable dwarf shrub bearing orange-red blooms in July and August then tiny, edible pomegranates. Where not hardy makes good container plant and bonsai. 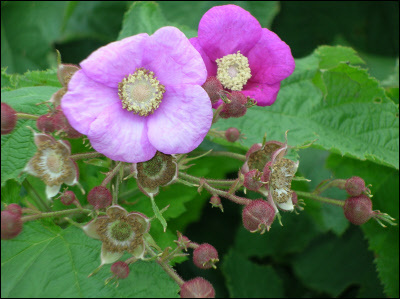 “The plants will bear miniature fruit if grown in areas with year-round temperatures rarely fall below 40° F. To grow indoors, moderate night-time temperatures should be given (50° to 60° F). Keep at 40° to 45° F in winter until new growth appears. In the growing period, keep moderately moist. Water sparingly from August on. This plant requires good drainage. Plants will bear fruit indoors if grown in a sunny exposure.” Missouri Botanic Garden. This dwarf described in 1803. 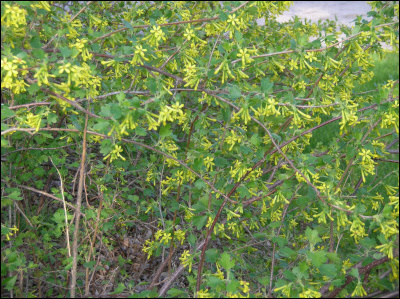 Early to mid spring yellow flowers smother the shrub, giving off the most sweet, clove-scented fragrance – heavenly. Ships only in spring. Care: full sun in moist well-drained to well-drained soil. Immune to Walnut toxins. Wildlife Value: attracts hummingbirds and butterflies. Medium pink single blooms in spring. Purplish foliage bearing red-purple hips in autumn. Care: Full sun to part shade in moist well-drained soil. Disease resistant. Purple-pink saucer shaped flowers from June to October. Rarely seen shrub. 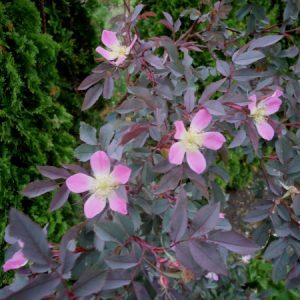 Care: full sun to part shade in moist well-drained to well-drained soil. Drought tolerant. Immune to Walnut toxins.